Available in an array of endless color, texture, pattern and even mural designs, the choices are endless for your room. Free in-home measurements. No Risk. No Obligation. Wallpaper allows for total design freedom and heightened creativity. The ability to hide imperfections on your wall, such as chips or other blemishes. Most are water resistant and allow for owners to easily clean and wash.
Wallpaper becomes a literal protective layer to your walls. Today’s wallpaper is not the same as your grandmothers. Available in an array of endless color, texture, pattern and even mural designs, the choices are endless for your room. Wallpaper is now as easy to install as ever and it actually provides durability to your walls by acting as a protective layer. 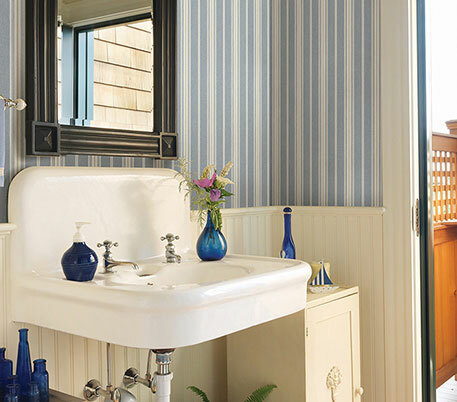 With wallpaper, you can even hide blemishes and other chips on your walls that would otherwise be difficult to hide, while creating interesting and eye-catching focal points to your room. 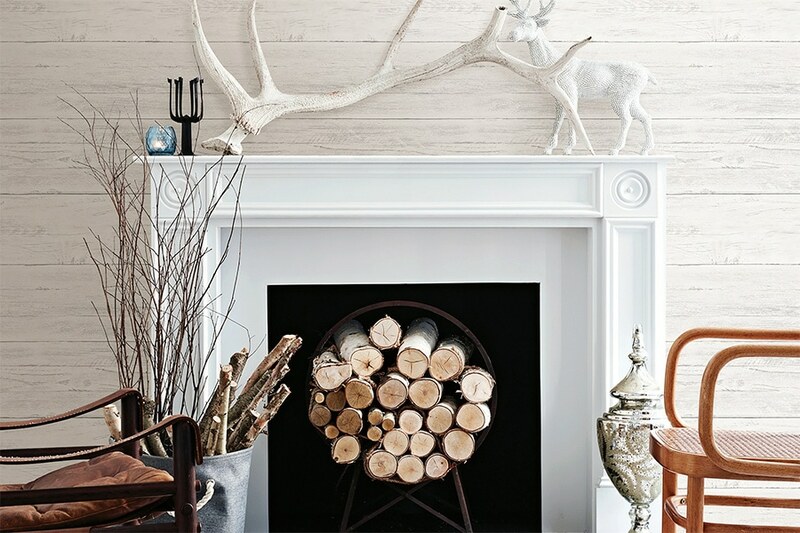 At Sunshine Interiors, we have 50 books of wallpaper in stock. You can check books out, take them home and explore your options in your environment. Our team of experts will gladly go to your home, measure and calculate how many rolls of wallpaper is needed for your project, and provide a free estimate. Wallpaper is starting to make a big comeback due to its major improvements and variety of options. 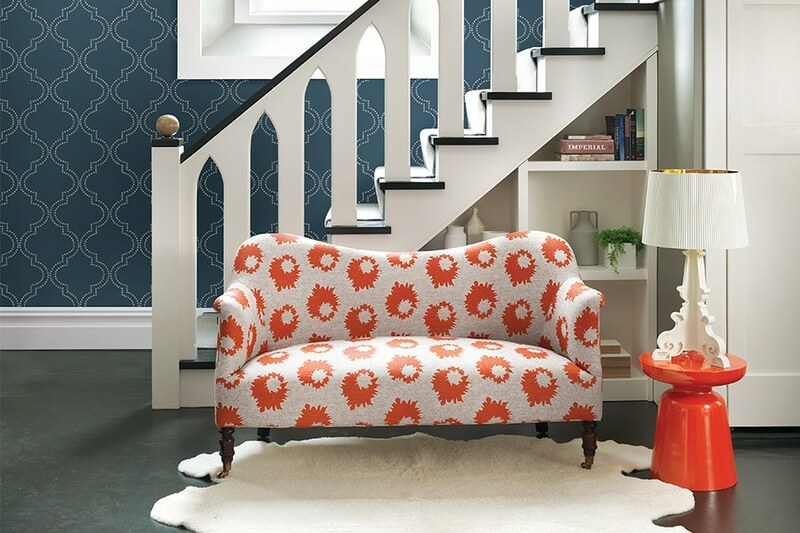 Perfect for a bedroom, powder room, living room or dining room, wallpaper can really be the new “it” factor of your home. Pricing depends on the brand, type, style and size of space for installation. Competitive pricing is always available at Sunshine Interiors, and we have options in every price range. 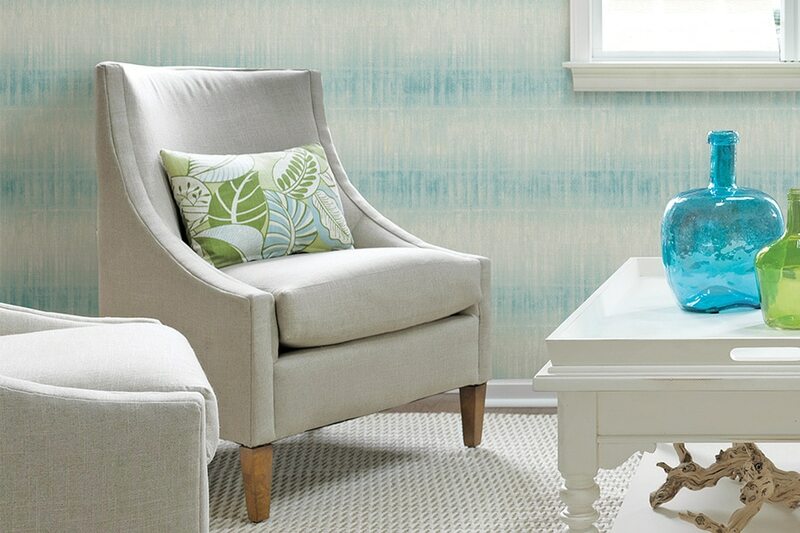 Tell us about your wallpaper needs, and we’ll deliver a price estimate that works for you. 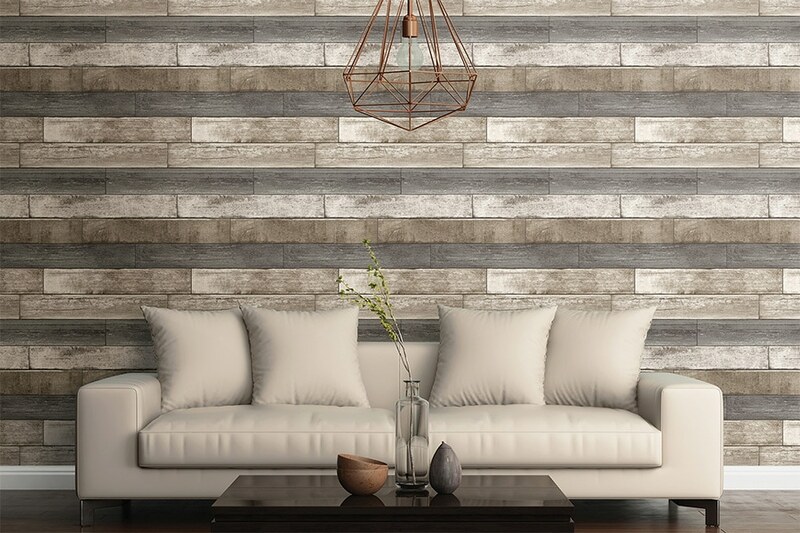 After 32 years in the business, Sunshine Interiors continues to provide high-quality wallpaper options with superb service in the Polk County, Hillsborough County, and Hardee County areas, and we have the ratings to prove it. We know we aren’t the only wallpaper store in Central Florida, but we also know that our phenomenal staff sets us apart from the competition. Some members have been with us since the day we opened the doors. We have no employees here. All of us simply work together to ensure that you are satisfied with our products, our work, and our service. Your satisfaction is the bottom line. An invitation to browse our showroom so that you can see and touch samples of the different types of Wallpaper. Wallpaper samples to take home so that you can experience them in your environment. If you’re unable to visit the showroom, we can bring samples to you. Free measurements and a quote during a personal appointment with an experienced professional at your home. Immediate repair, if accidents or damage happens. A five-point survey of your level of satisfaction. We consistently receive stellar ratings, but if you’re not satisfied with our product or our service, we will work with you to learn where we went wrong, and we will fix it. Sunshine Interiors of Lakeland is a fantastic company. From Lori the receptionist to Dennis, the owner, everything was perfect. Everyone there is just a dream to work with. They are prompt, knowledgeable, reliable, honest, hard working and professional. The services they provide is excellent and the work they do is flawless. If I had 50 houses to do tomorrow, I wouldn't work with anyone else. You don't find companies like this these days. They are a breath of fresh air. Whatever is considered a perfect score is what I give them. Excellent company. Exceptional people. 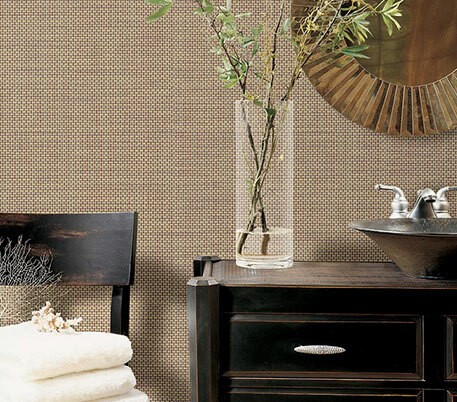 From vinyl wallpaper to fabric wallpaper, we will help you choose the right wall decor for you. 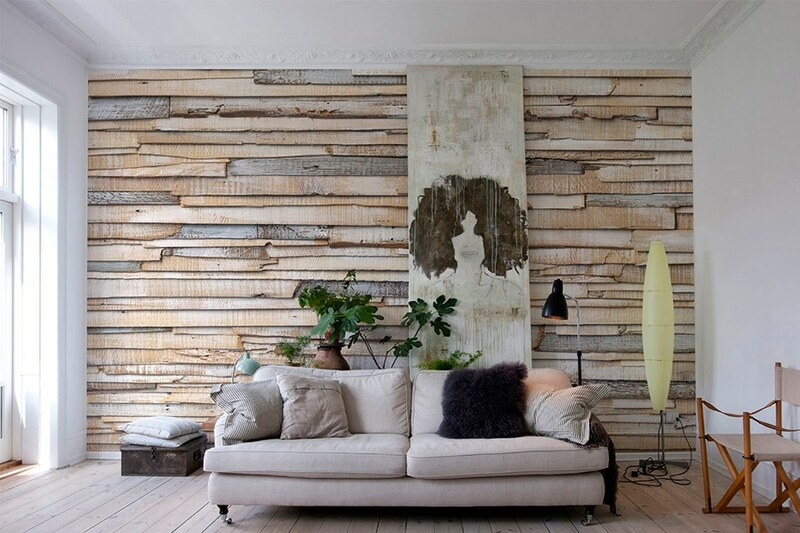 Most wallpaper is made out of vinyl, a mixture of vinyl and paper or vinyl and fabric. Depending on where the wallpaper is going, certain types work better. For example, solid vinyl is best in kitchens and bathrooms as they are totally water resistant, fire-retardant and won’t be affected by humidity. Other options such as vinyl and fabric work lovely in bedrooms and living rooms. No matter your desire, our team of experts will be sure to pair you with the best option for your home. Free in-home measurements and design consultations with no obligation. Gain inspiration from some of our past wallpaper projects and let us help you transform your home. 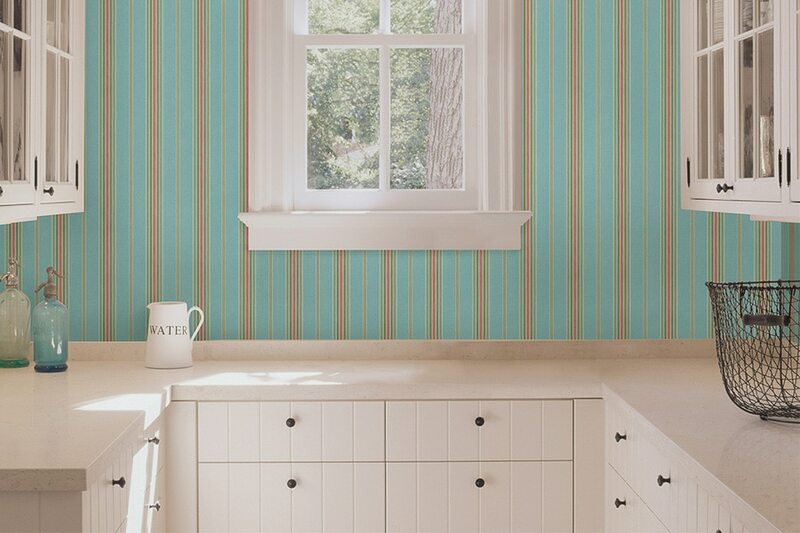 Schedule Your Free Wallpaper Consultation Today. Please fill out the form below and one of our flooring experts will contact you within one business day to find out how we can serve you. At Sunshine Interiors, we pride ourselves on the quality delivery of a diverse range of flooring and window treatment solutions. Our award-winning team of professionals provides expert assistance with every phase of product selection and installation.